For more information or to schedule an appointment with our Chicago chiropractor, call (773) 823-7005 today! Juarez Chiropractic is a natural health care clinic that offers a holistic approach based on sound medical knowledge for the treatment of acute and chronic cases. Dr. Rodrigo Juarez is a chiropractor serving Chicago and the surrounding communities; Brighton Park, McKinley Park, Back of the Yards, New City, Gage Park, Archer Heights, Bridgeport, Midway and all of Chicago South side neighborhoods. Juarez Chiropractic will focus on providing care for the entire family, concentrating on non-surgical musculoskeletal injuries, pain management, physical rehabilitation, as well as nutritional and supplemental advising. We are dedicated to helping you heal from injuries caused by automobile accidents, sports injuries, workplace injuries, repetitive motion and poor posture. At Juarez Chiropractic, we believe in promoting wellness through injury prevention, health maintenance and patient education. Our chiropractor and the rest of the friendly team at Juarez Chiropractic are dedicated to chiropractic solutions to target your unique needs, whether you are suffering from back pain, neck pain, headaches, or even just plain old muscular tightness and tension. 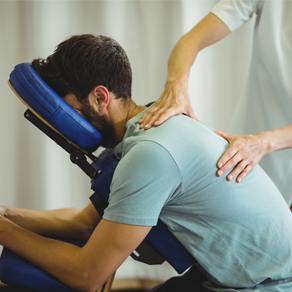 You may need pain relief after suffering an accident, experiencing an injury, or if you have a specific condition such as chronic back pain or a spinal condition; even if you just want to improve your overall health, our chiropractor can help you achieve your wellness goals! Please visit the testimonials page to see what our patients are saying about our Chicago chiropractor and getting regular chiropractic treatments. At your first visit to Juarez Chiropractic, Dr. Rodrigo Juarez will explain the science behind how chiropractic care works, and give you a full evaluation to see if chiropractic care is right for you. If there is a good fit, we can develop a plan of chiropractic care that is specific to your condition and health goals. If you are new to seeing a chiropractor and want to find out more, please email us or call (773) 823-7005 to receive personalized answers to your questions from our friendly team. We also welcome referrals, so feel free to use the "Send to a Friend" link located at the bottom of every page to share our health information with your friends and loved ones. Dr. Juarez started his collegiate career at the University of Illinois at Chicago with a Bachelor of Science degree in Biology. After receiving his degree he pursued a career in medicine, which ultimately led him to chiropractic. Dr. Juarez graduated from National University of Health Sciences with a degree in Chiropractic. At National University he became proficient in numerous therapies including; manual medicine, flexion-distraction, acupuncture, functional rehabilitation, sports injury care, nutritional counseling, and orthopedics. "Juarez Chiropractic is the place to go. 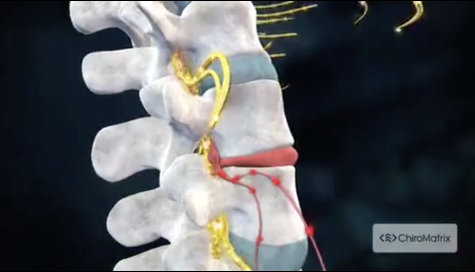 I had a slipped disc and he provided the proper treatment and care that I needed in order to heal. He even reduced the number of migraine headaches that I have. Would never go anywhere else!"